SINGAPORE - Southeast Asian ministers urged Cambodia and Thailand on Monday to show restraint over a military standoff on their border and took steps to create a regional human rights body. 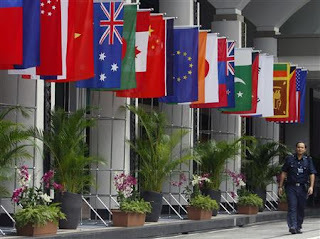 The 10 members of the Association of South East Asian Nations were also tackling spiraling food and fuel prices at their annual meeting on Monday, as worsening inflation adds to political turbulence in the region. The group, seeking to create a European Union-style community encompassing a half-billion people with a combined GDP of $1.2 trillion, was set to again express profound disappointment with junta-ruled Myanmar, its most problematic member, according to a draft communique. With Thailand and Cambodia holding high-level talks on Monday aimed at resolving the dispute over a 900-year-old temple on their border, ASEAN ministers offered to help mediate. "The situation has escalated dangerously, with troops from both sides faced off on disputed territory near the Preah Vihear temple," Singapore Prime Minister Lee Hsien Loong said in a speech opening the ASEAN meeting. 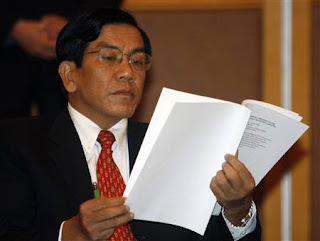 "ASEAN could not stand idly by without damaging its credibility." ASEAN's diplomacy on the issue "reflects a growing sense that ASEAN is no longer just a 'talk-shop', but a maturing community of nations prepared to act to advance its collective interests", the prime minister said. After a week of diplomatic sparring and a build-up of troops, expectations for a breakthrough were low, but both sides said they wanted to ease tensions. Analysts say domestic politics in Thailand, where the temple is known as Khao Pra Viharn, have played a key role in fuelling the border dispute. The foreign ministers, representing countries that include a kingdom, a junta, communist states and democracies, are expected to agree a framework for a landmark human rights body. "It's going to be tough negotiations," said an official nominated to the high-level panel that will negotiate on the functions and powers of the proposed human rights body. "The member states remained deeply divided on the actual form and substance of the body." The foreign ministers are discussing "the growing challenge posed by rising oil and food prices ... to our people's welfare as well as our countries' continued economic development," the draft joint communique says. 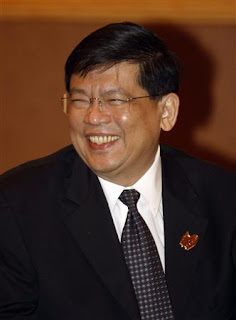 The high-growth economies of Southeast Asia are worried global financial turmoil could lead to the kind of chain reactions that destabilized them in the "Asian contagion" financial crisis of 1997-98, one Philippines official said. spiraling prices contributed to unprecedented opposition gains in Malaysia's general election last March and are stoking political turmoil elsewhere in the region, including food riots and protests in some countries and export restrictions in others. "ASEAN has decided to press on with the charter's implementation without waiting for all 10 member states to ratify," Lee said in his speech. 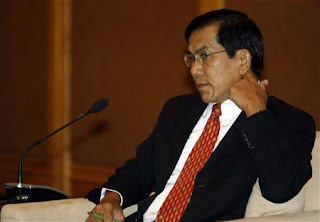 "ASEAN cannot take its continued relevance for granted. 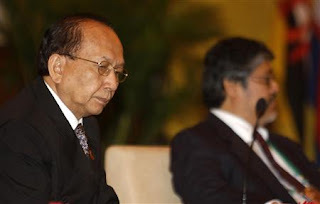 If our efforts to achieve faster and deeper integration falter, ASEAN may well be sidelined," he said. ASEAN's inability to get Myanmar's junta to reform has been a major stumbling block in its ambition to exert economic and diplomatic muscle.